We can sample your property for free! You can also search for existing results here. 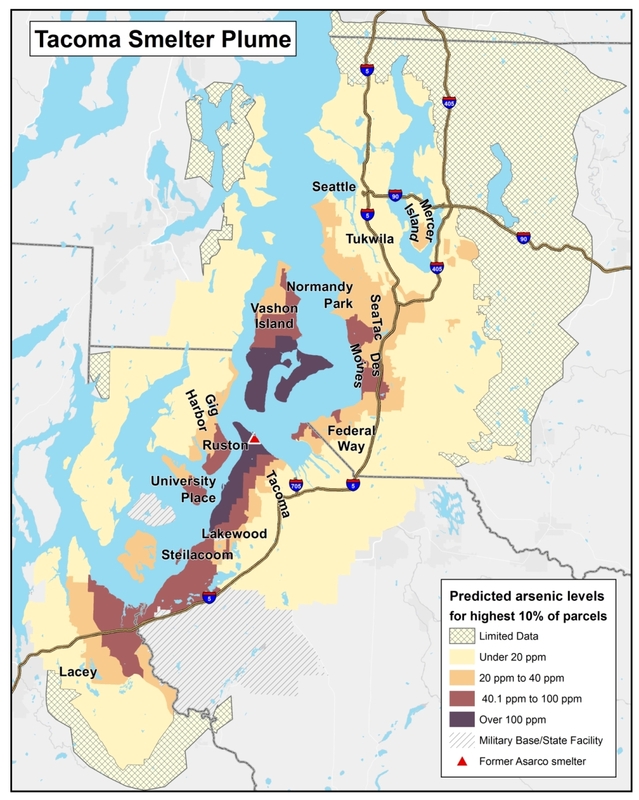 Is your property located in the Tacoma Smelter Plume? 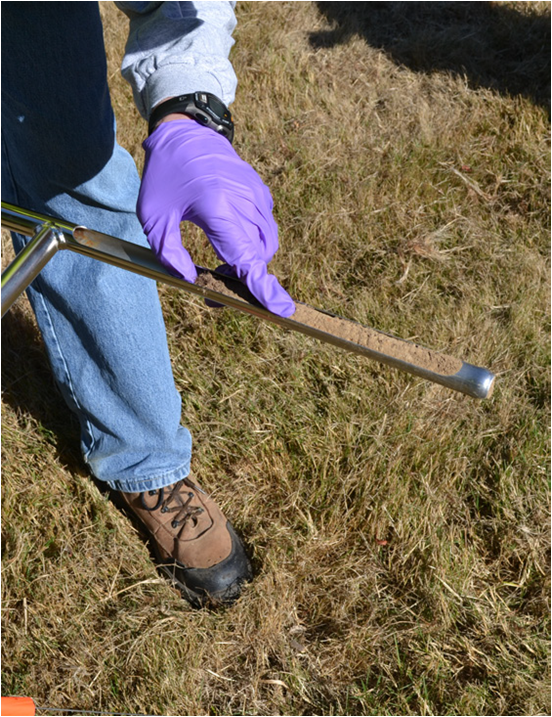 You may be able to have your soil sampled for free! 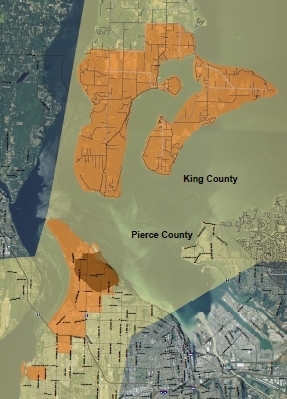 This map shows the areas impacted by the Tacoma Smelter. The darker areas are likely to have higher levels of arsenic and lead in soils. To find more detailed information, you can enter your address into the Washington State Department of Ecology’s public database Dirt Alert. 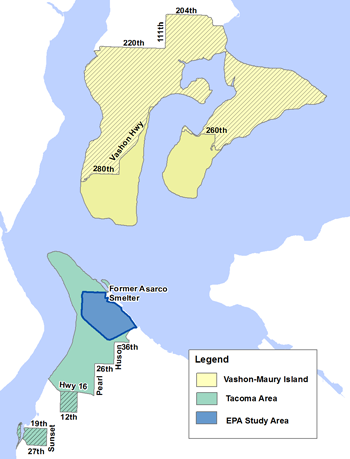 If you live in certain areas of Tacoma, Ruston, and Vashon/Maury Islands, your property may qualify for additional services – such as removal of contaminated soil, replacement with clean soil, and replacement of landscaping as part of the Department of Ecology’s Residential Yard Sampling and Cleanup Program. Do you already know your property has been sampled? You can search for results HERE. Please note, not all test results are available online. If you have questions, please contact us directly. Can’t find information on your property? Please contact your local Health Department or the Washington State Department of Ecology.